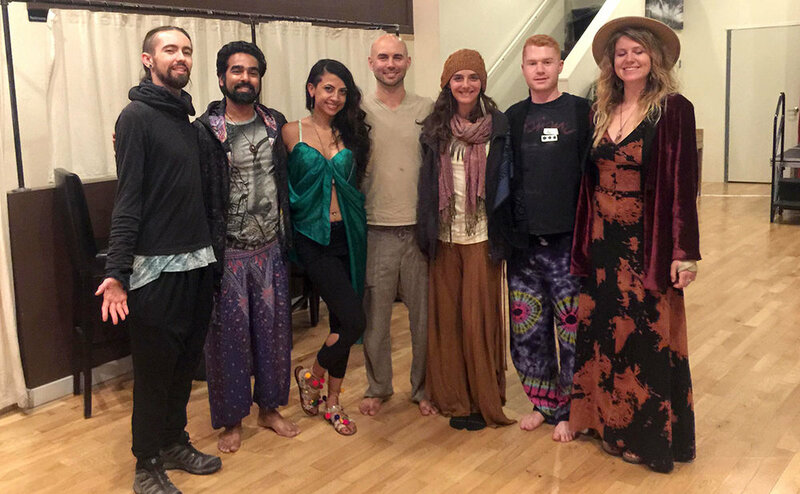 BS Free Spirituality founder Nick Meador created the following guidelines for New Paradigm Party: Cacao, Consent & Conscious Celebration, an event series he co-founded in Oakland, California. To learn about the next New Paradigm Party, head to our Events page! In a conscious collaborative project, it can help to bring attention to all levels of action and interaction, including how things are handled behind-the-scenes, between facilitators, staff, and volunteers. Exercising self-responsible, compassionate communication is just as important as any other guideline or agreement for creating a safe transformational space at a conscious event and in a collaborative project as a whole, especially when considering the bigger mission involved. This guide can help to cultivate sensitivity and foster an environment of safety in being vulnerable as you bring your creative gifts to the world. Communicate from an awareness that only we as individuals can meet our own needs. Check in with a person before providing feedback that could be challenging, to make sure they’re feeling resourced, grounded, and ready to receive. Not doing this could contribute to re-traumatization and detract from the aim of collective healing and evolution. Recognize that everyone is doing the best they know how in any given moment. Feedback is a gift to them only if delivered skillfully. Be aware of different kinds of power and privilege. These are commonly recognized in connection to age, gender, sexual orientation, and socioeconomic status (e.g., patriarchy, hetero-normalcy, etc.). The effects of power and privilege are less recognized or understood in connection to physical and mental health (e.g., depression, autism, etc. ), self-confidence, speaking volume/public speaking experience, overall congruence (powerful body language that matches powerful verbal language), ability to engage in and “win” debates, and other subtle social dynamics. Someone can identify as having lower privilege in the first group while not realizing they have more power in the second group, and can become an excuse for “violent” communication. Exercise tact and caution in phrasing and word choice, to minimize putting the other person on the defensive and maximize the message getting through. Hold space when receiving messages, to really get clear about what a person is trying to express before responding, especially if anything is triggering. Take ownership for what I’m feeling. What external situations could be influencing my state and my ability to navigate this collaborative situation? How can I be more transparent about that without making it an excuse. No one can “cure” or fix my own situation, and I can’t cure or heal anyone else. I only have the power to heal myself. *Doing this isn’t an obligation but a choice. It takes energy, and we might decide that maintaining a connection with the person isn’t in our best interest. In other words, the idea that we “should” be able to resolve all conflicts is a common false belief in communities that value peace and union. *NVC creator Marshall Rosenberg was known to say that “should” is one of the most violent words in the English language. See all action as a choice and we see our real power. Listener receives without judgment and can respond in the same structure. *Focus on the present moment. Going into past stories takes us out of the immediate connection happening. *Different than NVC in that it’s more about how we parse and interpret reality, and about connecting deeply beyond stories. Feeling that deep human connection can allow BS to fade away. What is the least controversial way that I can communicate this thing to the person? How can I focus on the big picture and say things in a way that they’re less likely to take personally or find offensive?